I am going to go ahead and call this one right now – avocado oil is going to be HUGE. I said it now, so bookmark this in your head. In the world of cooking, Olive Oil is pretty much everyone’s favorite oil to cook with or use for salads or bread dipping. 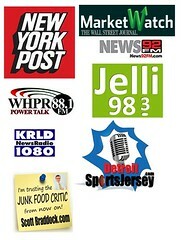 Thanks to people like Rachel Ray (EVOO!!) everyone defaults to it and as well they should. It’s pretty damn awesome. HOWEVER – this new kid on the block is turning heads and changing the way people think about food and cooking . Now truth be told, I don’t much care for avocado. I don’t have anything against it. I find it’s nutty-flavor and creamy-texture to be enjoyable – but I don’t go for guac (OMG!!!!!!!!!!!!) and I don’t often want nutty-flavor and creamy-texture on my chicken sammiches. That’s just me. I just haven’t found something to use it for that makes it the key ingredient of that dish. So when I got these three bottles of Avohaus (Extra Virgin, Garlic, and Lime) I was super-duper-reluctant-and-even-suspicious that I was headed toward some kind of goofy bandwagon. I couldn’t imagine it being anything worthwhile. But after reading up on it I was kinda intrigued. Turns out that avocado oil has a higher smoke point that olive oil so you can cook with it at higher temperatures with it. Hmmm. Interesting. After spending some time with this trio I can tell you I put them through some serious testing and they consistently rewarded me with fantastic flavor and there are now two bottles of gourmet olive oil that haven’t been touched in weeks. I am loving this stuff!! Did I just type that? Wait…you are “meh” about actual avocado but LOVE avocado oil? I have made dressings and marinades with each. Cooked some UH-MAY-ZING fajitas with the lime-infused one, and the garlic one kicked-up grilled chicken like a boss! There isn’t much I have tried or decided to use it for. It’s that good. Avohaus has really got a phenomenal product on their hands here with this product. When I cook I am a bit spoiled to certain oils and seasonings that I have accumulated over the years and this is instantly a new favorite and go-to-move. Love. Love. Love this stuff. I found it at Spec’s. Totally worth trying and buying. p.s.- I have since also seen a chip company that markets their chips “made in avocado oil”…I am tellin’ ya…avocado oil is where it’s at!!! Categories Addictive, Taste Test, This S#!+ is ADDICTIVE!! 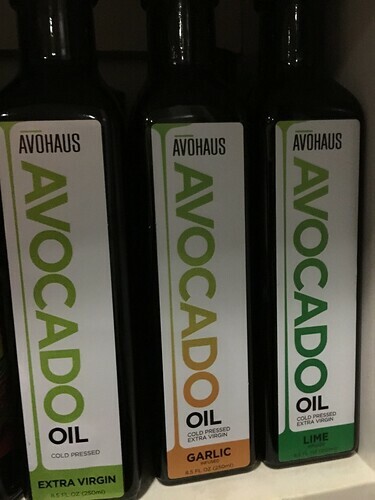 Avohaus UNREFINED COLD PRESSED EXTRA VIRGIN AVOCADO OIL FROM NEW ZEALAND. BEST TASTING AVOCADO OIL IN THE WORLD! VIBRANT GREEN NECTAR!! Drizzle to Sizzle!! Salads to Stir-frys!! Don’t forget Avoahus is a natural sunscreen too! Amazing for Skin and Hair. 27 Vitamins and Minerals w/ highest absorption rate of any oil…delivers what your skin craves…Vitamin E, Sterols, Omegas!!! Helps you absorb 15 times more nutrients from your food! Put a shot in your smoothie…try the Lime Infused in green smoothies!! You hit the nail on the head!! Great review!! !